Home » Can I put gold in my Super ISA? Budget 2014 affected our wealth in several ways, in particular, it was a positive one for savers. The increase of the annual ISA limit to £15k was a welcome one, along with simplifying the structure to house cash and securities under one tax free roof rather than hold two. With tax year end just passing, there’s no need to panic if you failed to maximise your annual allowance in time. There’s a great way of putting any spare cash to work in a tax efficient way, regardless of the annual limit. Any decent IFA will recommend that you use your annual ISA allowance first before putting money elsewhere, as it essentially provides access to the same funds without being liable for taxes. The challenge is obtaining an optimal mix within the ISA between risk and return. rates so low. The idea here is to match inflation while not risking your principal investment so that your money at least maintains its purchasing power. With house prices shooting up and commodity prices pulling up inflation, most cash ISAs can fall short of inflation. Hopefully, as interest rates inevitably begin to rise in the next 18 months, cash ISA rates will rise faster than inflation – closing the value gap. The fear is that inflation runs away as the economic recovery strengthens and cash returns can’t keep pace. Adding selected equity funds to your ISA can provide the opportunity to grow your capital above the rate of inflation. This is great when markets do well, but they leave you exposed to falls. It doesn’t have to be an economic downturn either. We’ve seen the various political coups including the Ukraine invasion impacting investment values around the world, and there always seems to be unrest somewhere around the globe. The missing piece in the investment jigsaw is gold. When combined with cash, equities and bonds, your savings are far more balanced. Not only does gold act as a safe haven in times of political and economic unrest, if you own the physical variety you also diversify away from owning paper assets. It’s possible that you can have exposure via a gold fund within your ISA to achieve a degree of balance within the tax free shelter. However, gold funds don’t track gold directly as they’re usually invested in a variety of companies including gold mining stocks which can be riskier than tracking gold itself. Gold bullion and coins are the ideal solution but can’t be held within your ISA as such. But all is not lost…. How can I achieve a balance without putting gold into my ISA? 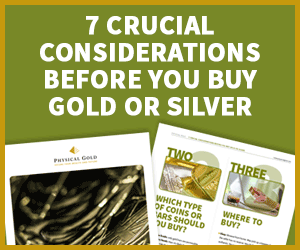 There are two main ways you can own physical gold and still enjoy the tax benefits of an ISA. The first method is by investing a lump sum into UK gold coins. Just like assets within your ISA, any growth in the value of Gold Sovereign coins is not liable to Capital Gains Tax. This is due to their status as legal tender in the UK. Therefore an investment in these coins can sit comfortably alongside any ISA investments you have, providing the much-needed protection from market downturns. Because it’s outside of your ISA, it doesn’t use up any of your £15k allowance, meaning you can still use the entire amount for cash and equities. In fact, the beauty of tax free gold coins is that there is no annual maximum like with an ISA, so you can buy as little or as much as you like, and it will all be tax free! The second method also mimics the options you have with an ISA. A Gold Savings plan is a regular monthly contribution into UK gold coins. So if you haven’t got the capital right now to invest in a lump sum, you can gradually drip feed money into gold. This enables you to use your capital to maximise your ISA contributions in and around tax year end. The advantage of this investment method is cost price averaging – basically ironing out any possible falls in the gold market as you buy at the underlying price every month. So while physical gold doesn’t qualify directly for your Super ISA, if you select the right type of coins, it can supplement to your ISA perfectly, enjoying exactly the same tax benefits.